One of the most common mistakes salespeople make on LinkedIn is they use it as their resume. Another big mistake is they use it to somewhat “cold call” people, sending generic connection requests immediately without initially following the right process. That’s why I invited Dennis Brown on the show today to show how you can fully maximize your LinkedIn presence to help you generate leads and sales through following a system that has been proven to work. Being an entrepreneur for over 20 years, Dennis has a LinkedIn consulting and training business where he teaches his LinkedIn Marketing System to business owners, which is the same system he uses to generate over $20 million in new business in just 6 years. Be patient. Nurture opportunities. Nurture relationships earlier. Opportunities start when you identify a target not after they show need or want for your product. 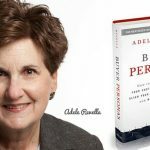 Do not lead with your pitch which is one of the biggest mistakes many salespeople or entrepreneurs make. Start with a process very early on. Dennis’ LinkedIn Marketing System incorporates social selling and LinkedIn marketing techniques and tactics as well as a simple, basic tracking system through a Google doc template tracking piece. Dennis wrote a book which you could access for free called The 7 Habits of Highly Successful LinkedIn Users. Simply go to LinkedAcademy.com. 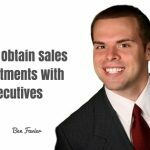 You get 10x the results with the social selling approach versus cold calling. That means, you turn 2-3 phone calls into 20-30 of those phone calls. It’s not about how many sales you have, it’s about how many conversations with your target audience you can have through email or phone. Focus on these types of dialogues. Build relationships with people than just dialing the phone. It shouldn’t look like a resume. LinkedIn is not a resume. It’s more of a reputation management tool. It’s a branding tool, a positioning tool. And you have to optimize your profile to do that. Have a very clear target audience. Be very specific. Define exactly who your target audience is. Targeting CFO’s? That’s too broad. Be specific. It’s better to have a thousands results than a million generic results. Less is more. Have a basic understanding of how to find them. Go to their LinkedIn profile and see if they published any content. Read it, review it, like it, share it. Do something. Mention them in an update. Share their content. Use other social media platforms. Make yourself visible to them. If you do this, you’re going to be on their radar. If they don’t respond to you in a week, then withdraw that request. Wait a day or two and send another connection request with a slightly customized invitation. Keep engaging them through other platforms until they engage. Be persistent especially with your high-value targets. Connect with Dennis on LinkedIn and Twitter @askdennisbrown. 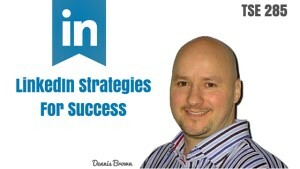 Check out LinkedAcademy.com and get Dennis Brown’s book The 7 Habits of Highly Successful LinkedIn Users for free.